I finally got my bread machine's blade replaced so I started baking bread once more! 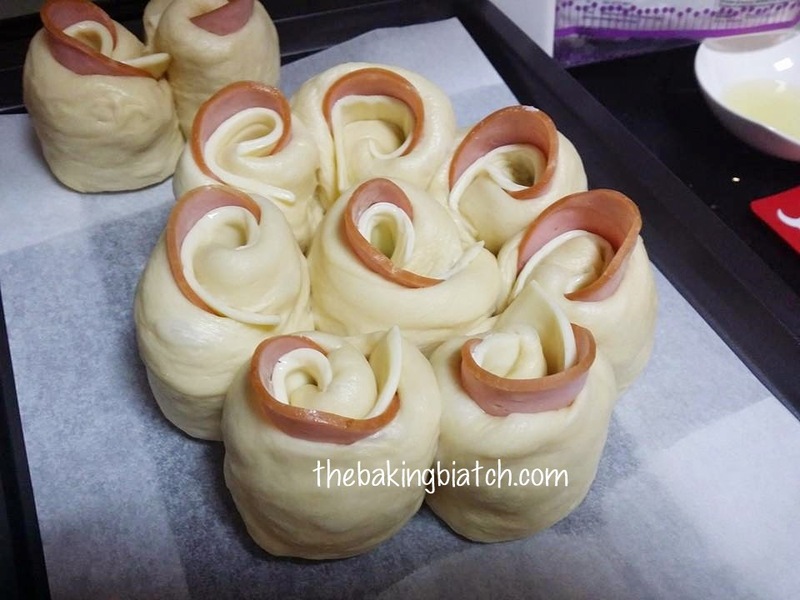 I started off with some Ham and Cheese Rose rolls. They're filled with such great smelling oozy goodness when it's freshly baked. 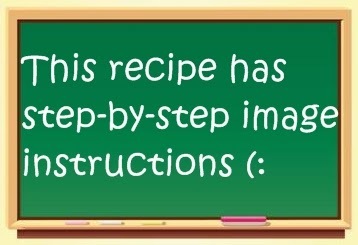 This recipe is relatively manageable so I'd rate it a difficulty level 3 out of 5. It takes about 3 hours in all of which the work will take about 30 minutes. 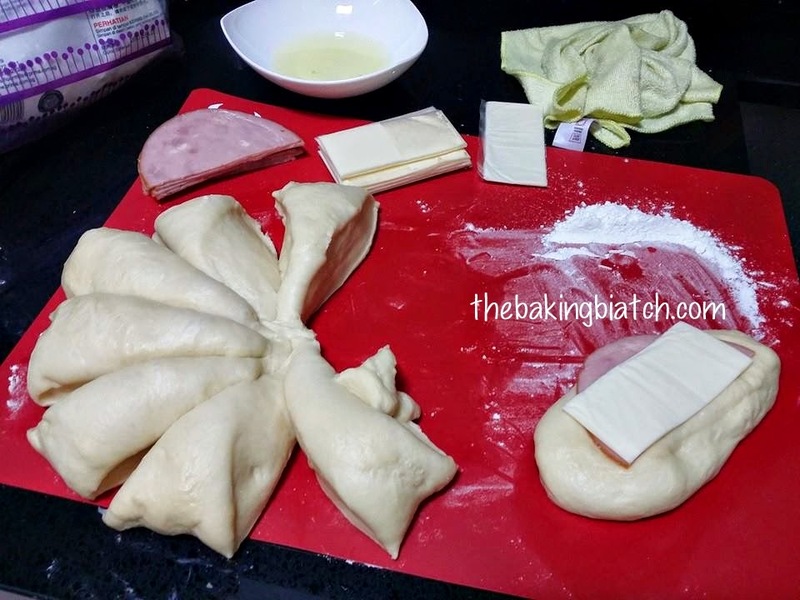 When the bread dough is ready for shaping, cut bread into 10 pieces. Flour surface with some bread flour. 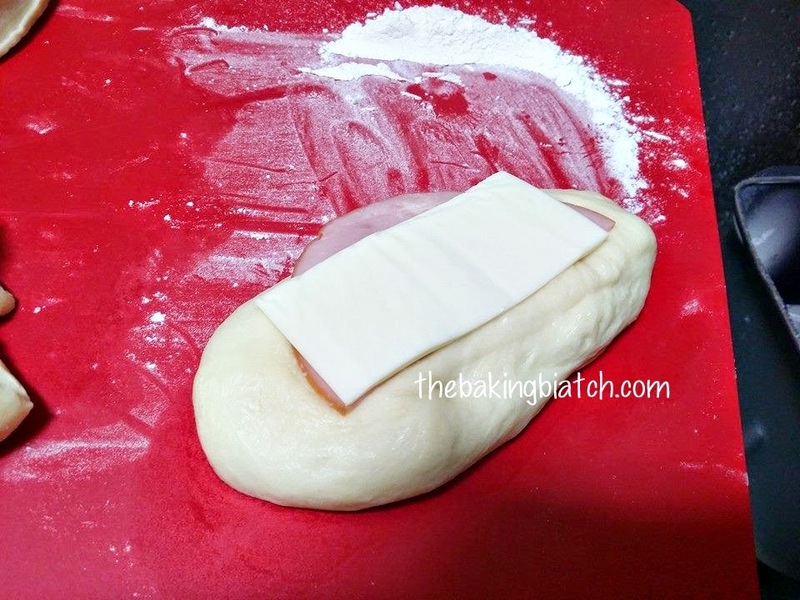 Roll each piece of dough into a log and flatten it. Top with a slice of ham and a slice of cheese. 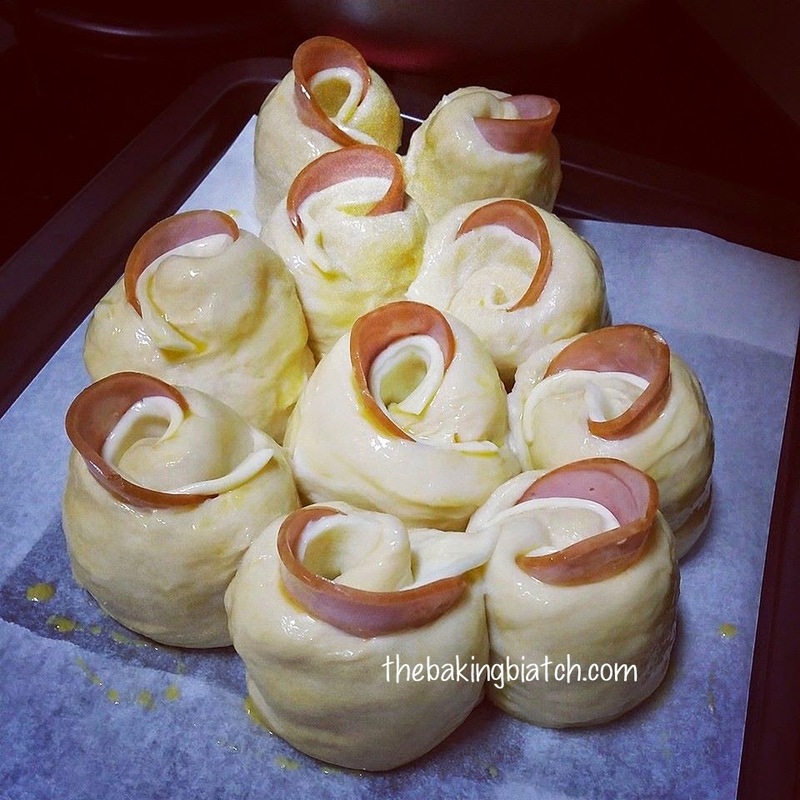 Roll the bread from the side. Pinch the end of the roll to seal the bread. 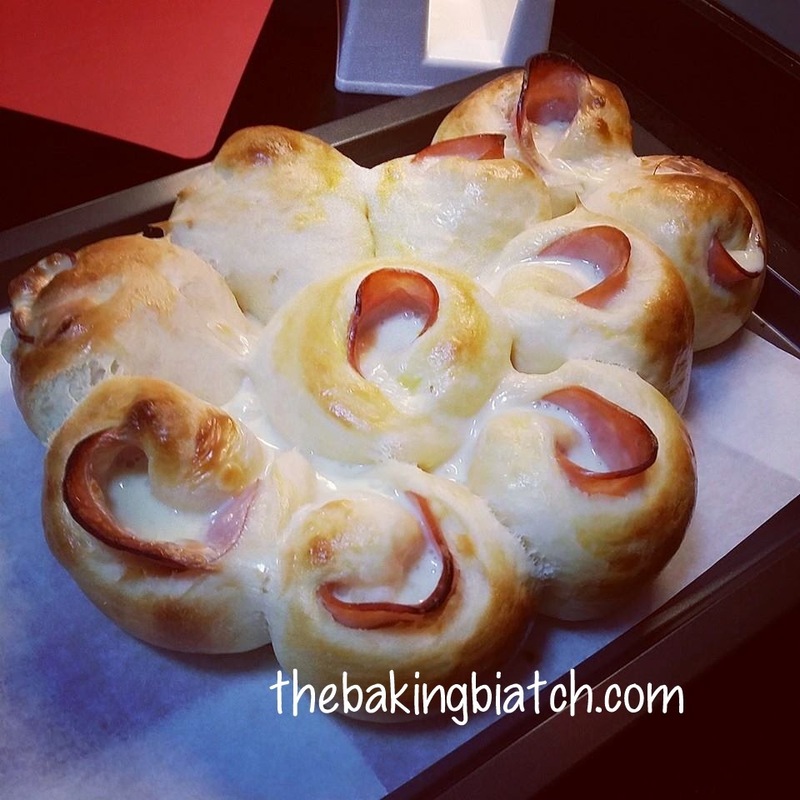 Arrange bread on a baking tray lined with baking paper. I placed the seams facing inwards. Proof for another 40 - 50 minutes in a warm place. Brush with egg wash prior to baking. Bake bread in preheated oven of 170 degree Celsius (fan mode) for 17 minutes. Enjoy!